This morning you may have encountered some issues logging in Drugwars or create an account. Why is that? First of all, we can’t never say it enough but we’ve never expected such a good response from the community and the public. 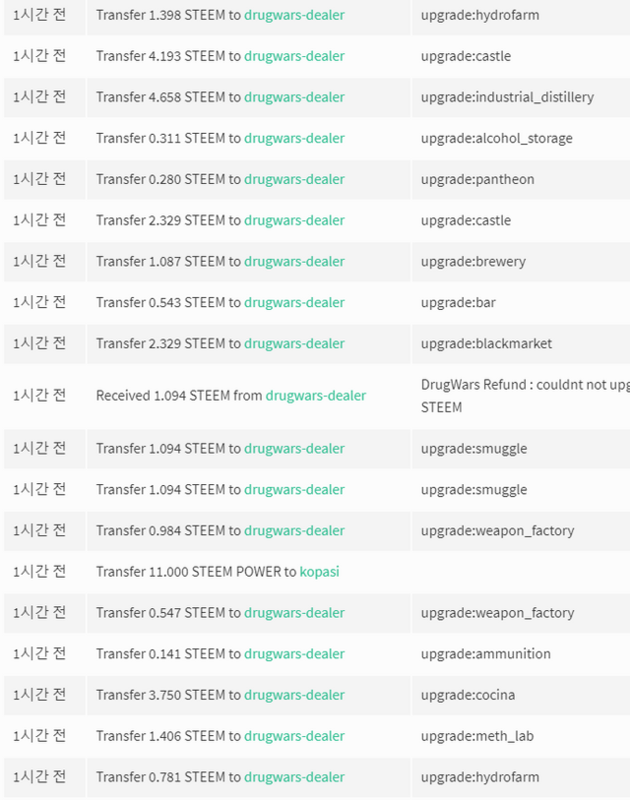 Many people came from others blockchains to play DrugWars on Steem and we had to limit the registration to 1800 players. 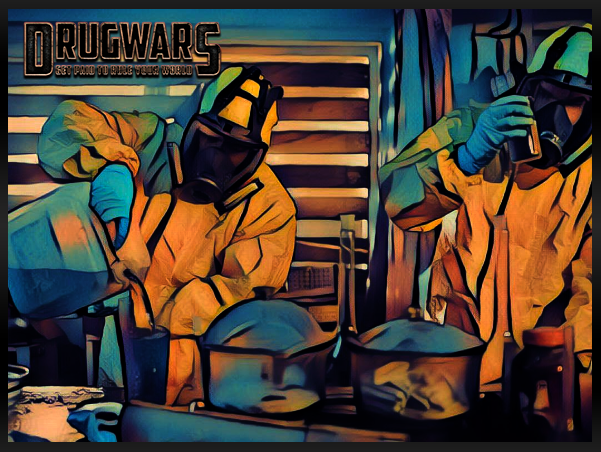 We took the decision to completely open Drugwars instead of limiting the access because you guys are awesome and we don’t want to rip the fun out of all the potential players. At some rush hour it could caused a plug in the game access which results in a harsh time and longer time to get into the game. What do the devs have done today? Well for some players it may seem like they haven’t done much, yep you’ve noticed too that Hightouch woke up at 7pm UTC. 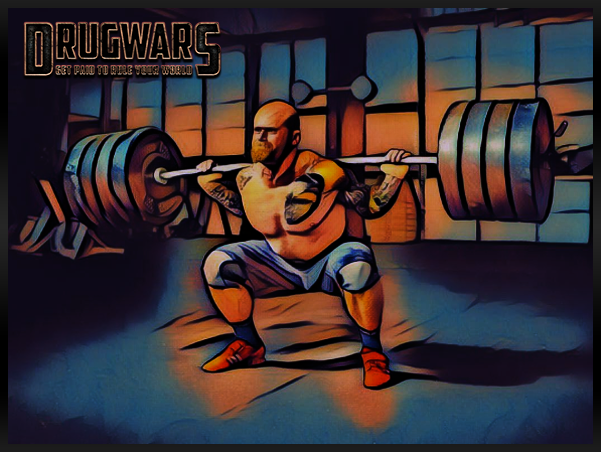 More seriously, they’ve been working crazily hard on building a bigger, stronger, better infrastructure that could welcomed more and more players which is why we are now 2400+ players on Drugwars! Also that means we will be able to scale faster and on a global way. Since yesterday, you’ve been messaging Goyard explaining your issues and loss and we’ve been tracking the loss, but we’re still human and need some times to refund all the demands. Along this quest we probably forgot some of you and we are asking you to message Goyard again if you haven’t seen the refund yet. Now we would like to say thank you to Goyard for his hard efforts and a royal service he has been providing. We are now at the 0.1.4 of our early access. You can find the update notes directly ingame. Referral has been implemented and now you will be able to see the list of the users who met Drugwars thanks to you. Unfortunately all the referrals before the implementation can’t be listed which represents 80%...but we will open a « choose your dealer » ingame during a week for the players to choose their referral. Note: the reward isn’t available yet. Now we’ll get to the real deal. From this moment onward the dev team will concentrate 79% of their work on implementing new features, never seen before functions, and a mind-blowing Blockchain-based game to show the power of this technology to the mass. 20% remaining will be to check on issues and bugs that you are reporting. 1% to chat with you. Lock yourself in your home! GANGS are coming! We are happy to witness such interest in Drugwars up to making it a real life deal. Clans and gangs have been formed for the past 2 days, if you’d like to join a gang you can easily find them in the Discord or you can even create your own and make a campaign to gather the most people in your clan as possible. 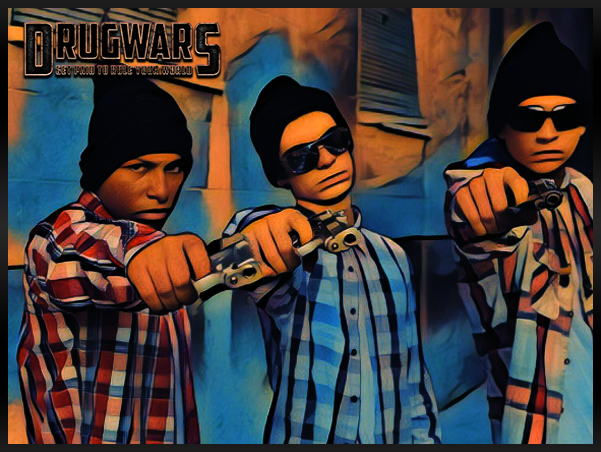 First Drugwars Clan: THE Cartel : https://steemit.com/@steemcartel is THE only cartel. Join « la familia »: the only family you won’t introduce your boyfriend/girlfriend to. Join « la piovra » : and throw your enemies into the ocean. Join the: « frenchies » to eat bread on your enemies headquarters. By the way, as the King Dealer, all of the payouts of DrugWars posts will go to the Dealer Pool without any cut. Gutted about this though! I hope folks stick with their original referral but in some cases I suspect not! It would be nice if you provided the option (or just changed it permanently) to calculate drugs per hour instead of drugs per day. All my time calculations are in hours and I have to make the conversion manually. If @drugwars have their own token tradable in STEEM, Bitshares, Ethereum and EOS. It will be the most sought after token ever! And what would the purpose of this token be? Sometimes making a token is counterproductive. I remembered the old desktop game Dopewars where I can sell and buy different type of drugs at different places. Pay for hospital visits, buy/sell guns and get loans from loan shark. I would spend money for those token like how I bought upgrades in DrugWars with my STEEM. And I did sold BTC from Bittrex to Blocktrades for STEEM to play DrugWars. In the beginning it will be profitable because people really will spend for the game. But, In the long run the token will have less to no value if people got bored with the game. I don't know. For example, if they created a new token, they could add that token to the daily payout and players would get paid even more. The game has a much higher chance of going viral the bigger the payouts are and the more real strategy there is. True true. Sometimes it's good to quarantine the community with a native token. This is especially true if the game wants to generate inflation and/or have in game money sinks. In the end I think it all revolves around how new coins get created and distributed. "Unfortunately all the referrals before the implementation can’t be listed which represents 80%...but we will open a « choose your dealer » ingame during a week for the players to choose their referral." How will you make sure all people choose their referral? Some people might even be offline for this period. It's only a week. Easy to scam your referrals this way. I agree, they said its all recorded by blockchain, they just need to extract data and it will be ok. @drugwars i hope you do something with it. They are trying their best to fix the sudden problems because of the unexpected player loadings. I'm sure they will come up with a good solution. Then they need to come up with a better solution than this. "Unfortunately all the referrals before the implementation can’t be listed which represents 80%" They need to fix all these referrals. I'm going to give it a few weeks. "I'm sure they will come up with a good solution." You was wrong. They do scam the affiliates. Also noticed that I could not upgrade my buildings? When I click on it, it says connecting to blockchain and after a few seconds, nothing happen. Why can't I upgrade anything? Even if I try to pay with Steem for an instant upgrade, the transaction does not complete. It's becoming very frustrating. Been a whole day now, and I'm unable to progress in the game at all. This is better in my current situation than not having executed the upgrades, but is definitely going to cause problems and cost money if it's not fixed. I would love to play this game on a mobile app instead of playing it in a mobile browser. If that can be your next priority feature, it will be really awesome. It's in our plan, but we have quite a long list of priorities, still it will come in no time. Your ROI per day is 4.87 % and you are earning approx. 1.85 STEEM per day. Your ROI per day is 2.72 % and you are earning approx. 1.03 STEEM per day. I have been slowly understanding the game but enjoying it so far. I think the growth in volume has probably come from bots joining too. Looks good, feels good, i just cannot login for about 5 hours now. Amazing game, Amazing art and Amazing team! Keep it up, I am having fun playing this one and I also think games can bring new users and buy pressure to the steem token. I am running a poll on Dpoll.xyz to see how many people actually went to exchanges to buy steem to buy stuff in game, so far most people have! So, overall this game and others are the way we will bring the Steem blockchain to the masses! Is the website ok I can't get it to load? This is a really fun game, it's worth getting a couple of upgrades with Steem to support the producers and boost your setup. I'm not sure I understand the gang thing yet? better research some more - can't wait for the other new features - top job lads! For now the gangs are being built by the players separately but later on it will be an ingame thing. Your game looks really awesome! I just made a german introduction post for it, here is the link for it. Thanks for the mention! go @drugwars sincerely, DWC mob squad! Hi @drugwars! Do you planning to start discord server chat for players in closest future? I've just stumbled uppon a bug a couple of minutes ago. the "drug" and "wapons" counting begun to stand still and instead my "alcohol" is growing rapidly, cca 10K/min. The timespan between these two screenshots is 1-2 minutes. i am just open this game. and singup. bt do not understand how to play. can anyone help me? 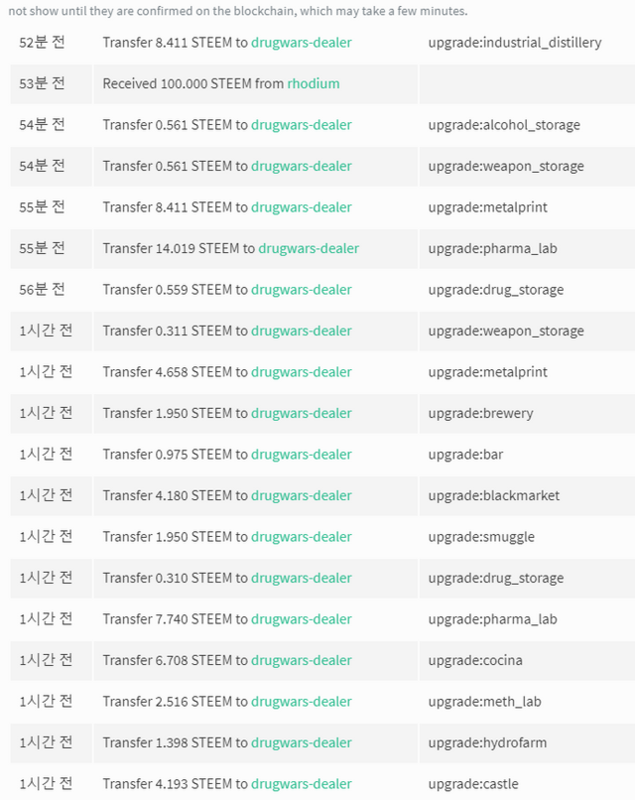 I was paid double for steem coin during the upgrades. Please return the double-paid coin. My account name is @kopasi. Hey @kopasi you should have got an automatical refund or the upgrade should have worked.